A lot of books came out today so I haven’t gotten around to this one yet, but it sounds pretty good. Yes, it was one of those weeks where you feel spoilt for choice because there’s so many great comics out at once. Thought I’d check out The Invincible Iron Man and see what Marvel Legacy will be like. Great issue. If they are all as good as this, then things look good for Marvel. Sounds like there’s a lot going on with this issue. Yeah, it feel like its brining lots of storylines together, and setting things up for a new direction. 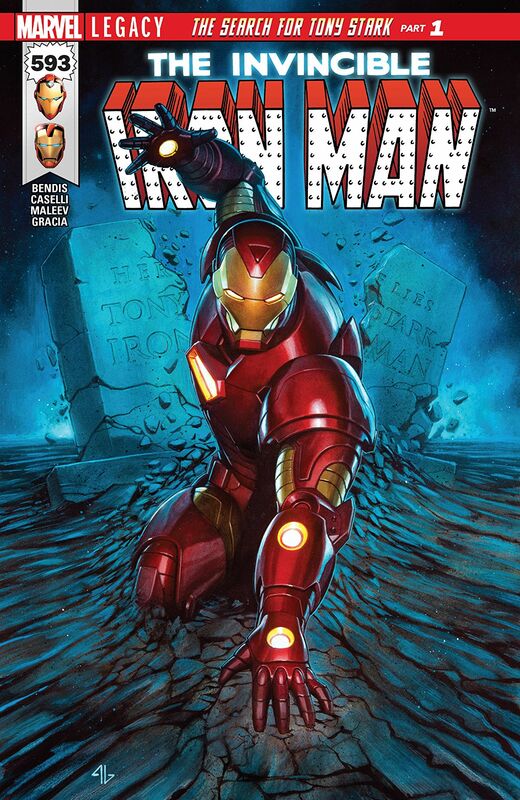 This was a decent start, if more of a ‘prelude’ to the storyline which I’ve been eagerly awaiting – Ironheart is a good character and I actually enjoyed Iron-Doom in Infamous Iron Man but Tony Stark / Iron Man has been a significant part of my comic book fandom since picking up Iron Man #300 back in…er, 1992/3 I think? I liked the way Bendis brought Alex Maleev in to handle the Von Doom sequences – pretty nifty! Looking forward to seeing where this goes, don’t let us down BMB (*cough* Civil War II *cough*)! Yes, it was an issue that set things up more than anything really. I want to see Tony Stark back as well, as I’m a big fan of the character. Ironheart was ok, but not been a fan of Infamous Iron Man that much. However, those Von Doom sequences were very good in this issue with The Thing. High hopes for The Invincible Iron Man in Marvel’s Legacy event. Totally agree with you on Civil War II as well, the end of that was rubbish, Bendis needs to get Iron Man and Tony Stark back on track in the Marvel Universe. Fingers crossed!